Manchester United’s winning streak since the arrival of Ole Gunnar Solskjaer might be over, but there were some positives to get from a 2-2 draw against Burnley. 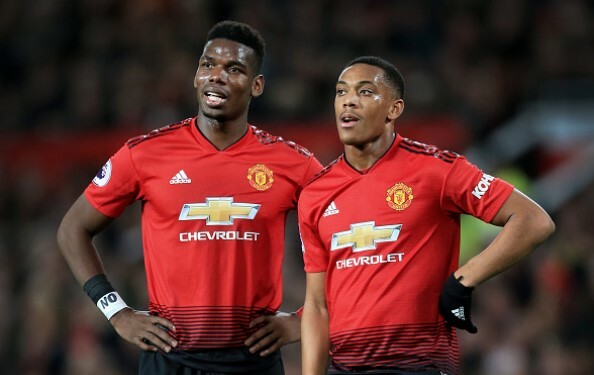 The match at Old Trafford showed just how little is enough for the team to spill points and why the focus must be at maximum levels at all times. A lapse in Andreas Pereira’s concentration directly led to Burnley scoring the opener, while defensive disorientation from the back four meant Chris Wood was all alone to head the ball in the net. Here, we will be taking a closer look through statistical data which will show us some interesting things from Tuesday night’s match. The consensus after full-time whistle was blown was that Manchester United did just about enough to win this match. There is a reason for such thinking – they conceded two naive goals from Burnley’s only two chances in the whole match, while not scoring more than two even though they were presented with chances, the best one being Marcus Rashford’s close-range miss early into the game. Man United’s expected goals (xG) amounted to 2.87 according to Understat. Burnley’s was 0.93 with just five shots they managed. The Devils had 28, nine of them going on target. Man United also had two shots from the six yard box, while Heaton made some great saves, too. United’s xG per shot was 0.10, which is an indicator of making a lot of shots of not so great quality. That is a real testament to Burnley’s defensive structure. More on that later. Romelu Lukaku did not have the best game. He did start well, getting into space to find the pass from Rashford, before setting the Englishman for that mentioned chance after six minutes. But that was about it. He had just 18 touches with the ball in his 67 minutes on pitch, which tells us a story of him not being involved as much, but also having problems against deep defences. Lukaku played as a lone striker in an attacking form of 4-1-4-1, but he still was unable to impose himself on the game. He was often neutralized by a numerous defence which did not give him any space. Even Lukaku’s movements towards right flank did not bring him much. This was another typical “Burnley masterclass” of sorts. They went to their usual selves to stop a better side from beating them. The performance reminded of their last season, when they finish seventh in the league for a reason. Tom Heaton made seven saves, while another one, a truly spectacular one from Lukaku’s shot, was not counted as offside was flagged afterwards. Burnley were their usual selves, but playing this way for so long and getting points against better teams, is not as usual as it may seem. They had 55 clearances, while also adding 15 blocks just inside of their box. That shows great commitment and discipline, as such levels of concetration and focus are not easy. Plenty of fans and pundits take such performances from Burnley as expected and usual, but it is a real overachievement constantly nicking points like this, especially at Old Trafford. Although they managed to get a draw, they played just like they did under Mourhino. Too many back passes or passes across the pitch. The build up was too slow and allowed Burnley time to sit back and defend. The week before against Arsenal, they were much quicker out of defence and did not rely solely on the wings. There were quite a few passes through the middle. That’s how they need to play. Against Burnley they kept putting high balls in the goalmouth, but there is never anyone there to head it, sowhy did they keep on doing it? The defence spend too much time ball watching and seen to be unaware of where opposition players are. The goal that Arsenal scored, their most prolific goal scorer was left unmarked ready to tap the ball in. The second Burnley goal, there was no defender challenging for the header.